Many years ago, only the rich would have considered buying anything near the top of the range. Jeez, they were expensive. Now though, prices are more affordable and finally Mr. and Mrs. Jones can consider purchasing one! Treadmills bring a host of advantages to any fitness program. From weight loss, to cardiovascular and general body fitness activities, a treadmill at home brings a certain level of convenience to your exercise routines. Nevertheless, treadmills are also huge causes of frustration when they don’t work as you’d like them to. 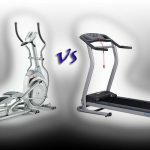 Choosing the best treadmill for home can be a painstaking process but definitely, a welcome addition to an in-home fitness room since it lets you workout no matter the time of day or weather. Think winter. Treadmills, in-home and the more commercial ones for gymnasiums have added many features over the years. Most of them include adjustable tracks so you can vary resistance and mimic situations that are more lifelike. Features like varying speed rates for a sports walk, jog or run are common in most treadmills except the really low-budget ones. 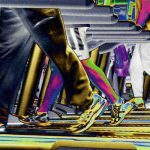 If you are looking to do some cardio exercises, the treadmill should include a computer generated exercise regimen. These are a lot easier to follow and you don’t have to bore yourself out with the complexity of the settings or even remember to perform each exercise routine one after the other. 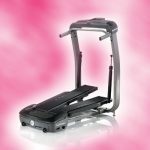 If you are looking for a used treadmill then it should come from a re-manufacturer or a reseller. Or at least wherever it’s bought, they should have easy access to these guys. An advantage of this is that most of these reseller companies sell refurbish equipment with new spare parts replacing any worn out trouble spots. It’s more like buying a factory approved unit still with warranty and at a very good price. Such units are cheaper than the new ones but more importantly, you get value for money, and as many people do, you should be able to purchase one with more features compared to a similar model that’s still new. It’s advisable to avoid treadmills from commercial fitness centers or gyms. Except when you’ve actually been a member of such fitness club for some time and happen to know the exact condition of the machine, having used it before. Reason is due to the commercial nature of a gym or fitness club, the machines are subject to greater use. There is wear and tear and abuse from users. Put this into consideration knowing you might have to fix one or two things or none at all – it’s a wild guess here. Ideally, if you can’t afford one straight out of a local supply store, your home treadmill should be purchased from a previous owner who used it for private use. Treadmills like these are much more likely to have suffered less wear and tear. Therefore, the Best Treadmill for Home is always the one that strikes a balance between features, age, condition and of course – cost. Now that you’ve purchased one of the best treadmill out there, what’s next? 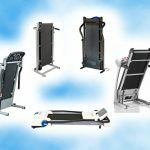 Although there are hundreds of treadmill programs available to workout various parts of the body, a treadmill in its barest form is only capable of performing walking, jogging and running exercises. Faster speed settings and higher incline settings are included to your advantage for better resistance or increase in difficulty. The best fat-burning workouts are performed in the weight loss zone, which is primarily 60% – 75% of your maximum heart rate. To calculate your maximum heart rate, just minus 220 from your current age. An example is if you are 40 years, your maximum heart rate is 220 minus 40, which is 180; your moderate zone is 40% of 180, which is 153 bpm or beats per minute. As much as 90% of the workout period on a treadmill is spent burning fat at the zone’s target heart rate for that individual. Cardiovascular exercises are another important benefit of owning a treadmill at home. The convenience of walking, jogging, running exercises on a treadmill means you’ll likely do it more frequently than in a real outside environment. Separate the bells and whistles from essential features that benefit you. Cost benefit comparisons should take preeminence here. 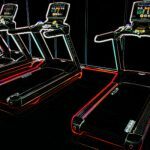 The best treadmills for home are the commercial-grade ones that allow you add more features by installing simple accessories. Watch out for the plane or track. Such areas are most exposed to wear and tear and you may have to change these parts occasionally. When buying used treadmills for the home, inspect the track and rollers for wear or misalignment. Try to see if there’s a service contract available with the seller. Such contracts are cheaper than independent servicing. Read the operating manual first before anything else. 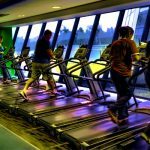 You’ve probably heard stories of people getting injured from not knowing what to do on a treadmill. At least if you come flying off from a treadmill at home, there’s only your other half and your dog to laugh at your misfortune rather than a Gym full of strangers! Is Walking On The Treadmill A Good Workout? 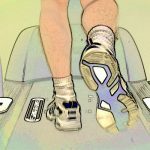 What Treadmill Is Right For Me?